Primary Health Networks (PHNs) have now replaced Medicare Locals at the fore front of the Australian Federal Government’s initiatives to increase the efficiency and effectiveness of medical services for patients particularly those at risk of poor health outcomes. A key objective of Primary Health Networks is improving coordination of care to ensure that patients receive the right care, in the right place, at the right time. PHNs face a herculean task building new organisations, hiring people, implementing systems and rolling out programs in a matter of months after they won the Federal Government tenders. Folio, Contract Management Software has enabled PHNs like Murray PHN and Southeast Melbourne PHN quickly implement a Contract Management Framework and ensure that contracts, deliverables and credentials are monitored effectively. Folio now moves even further to provide a full Governance Risk and Compliance platform to another PHN Hunter New England Central Coast PHN (HNECC PHN). 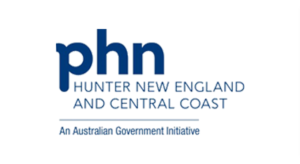 HNECC PHN is a massive Primary Health Network. It replaces 3 Medicare Locals, covers 130,000 sq. kms. and incorporates 27 Local Government areas! It services a population of 1.2 million people who are spread over remote rural villages, regional towns and densely populated urban areas. As HNECC PHN builds a service brick by brick Folio will provide them with a web based software tool that enables their team to manage risks, compliance, incidents, complaints, audits, contracts and contractor performance. With Folio designed to function on Laptops, Tablets and Mobile Phones, its responsive design will certainly be an asset to HNECC PHN as the team coordinates staff across multiple locations both in the office and out on the field.